Enjoy the best inspirational, motivational, positive, funny and famous quotes by Alan Thein Durning. Use words and picture quotations to push forward and inspire you keep going in life! 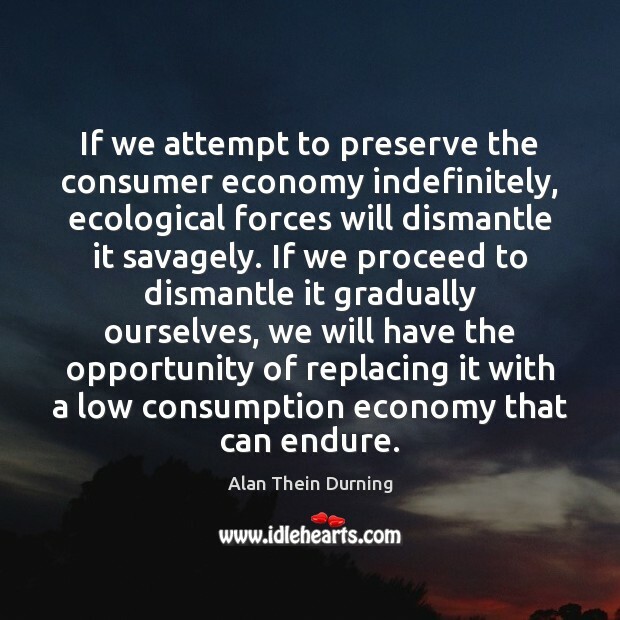 If we attempt to preserve the consumer economy indefinitely, ecological forces will dismantle it savagely. 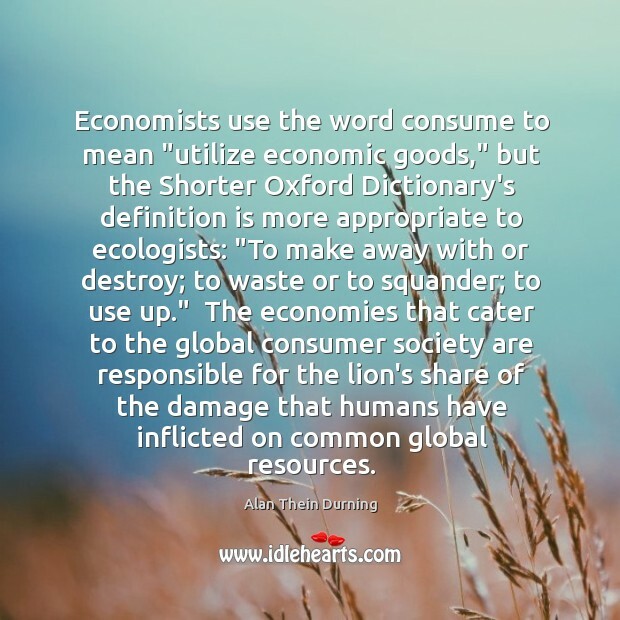 If we proceed to dismantle it gradually ourselves, we will have the opportunity of replacing it with a low consumption economy that can endure. 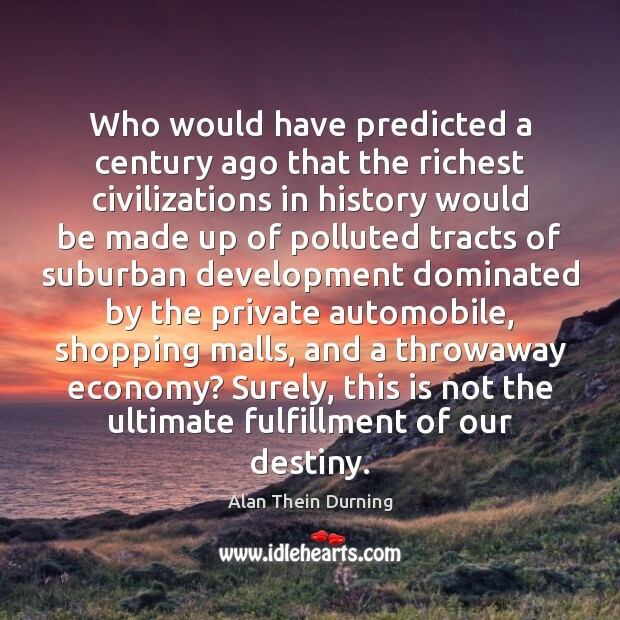 Who would have predicted a century ago that the richest civilizations in history would be made up of polluted tracts of suburban development dominated by the private automobile, shopping malls, and a throwaway economy? Surely, this is not the ultimate fulfillment of our destiny. 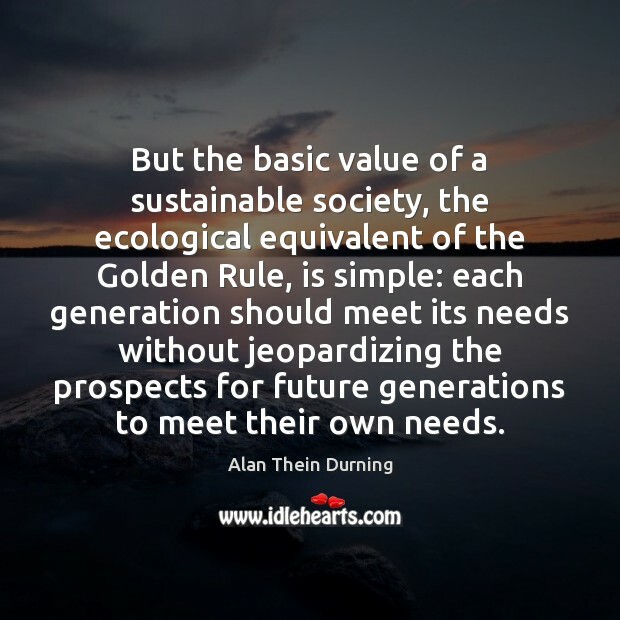 If the life-supporting ecosystems of the planet are to survive for future generations, the consumer society will have to dramatically curtail its use of resources - partly by shifting to high-quality, low-input durable goods and partly by seeking fulfillment through leisure, human relationships, and other nonmaterial avenues. 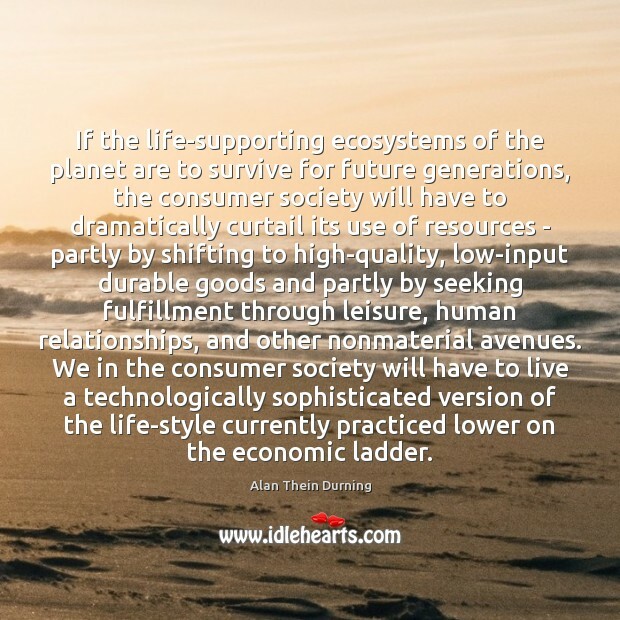 We in the consumer society will have to live a technologically sophisticated version of the life-style currently practiced lower on the economic ladder.